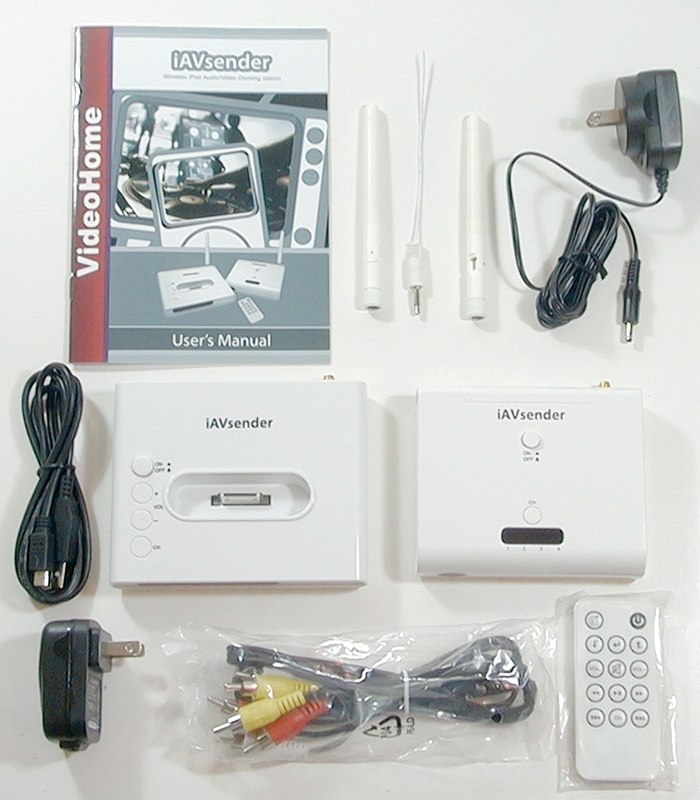 This is a high quality wireless audio and video device designed for iPod video. 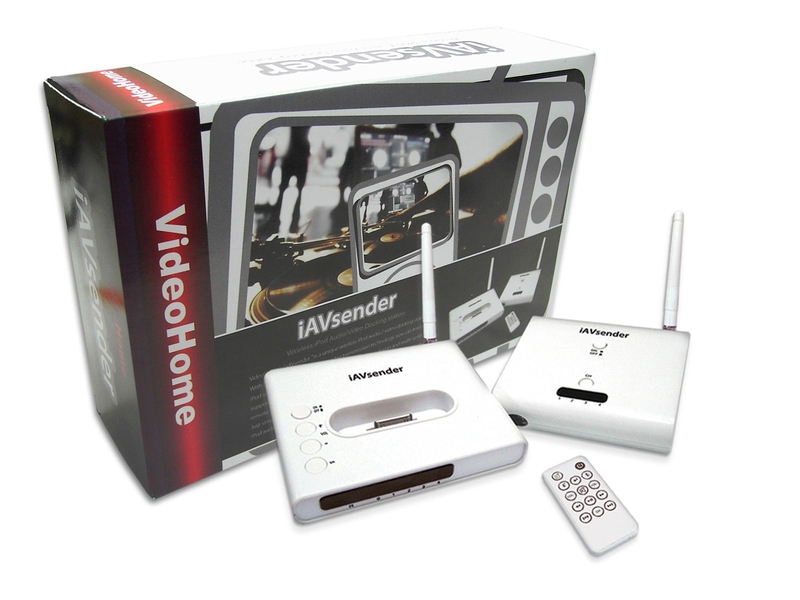 VideoHome's "iAVsender" is a unique wireless iPod audio/video docking station. 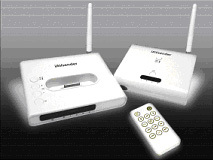 With the build-in 2.4GHz wireless video transmission technology, you can transmit iPod signal to TV simply via wireless. The hardware design and multi-system support give you the best solution for iPod entertainment application! 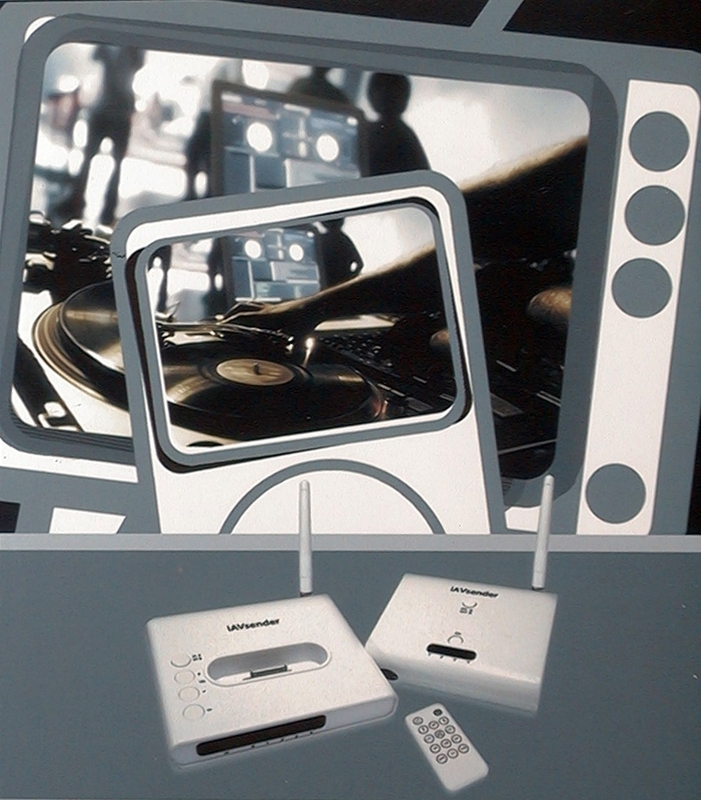 The bundled remote controller let you control iPod function at TV receiver side. 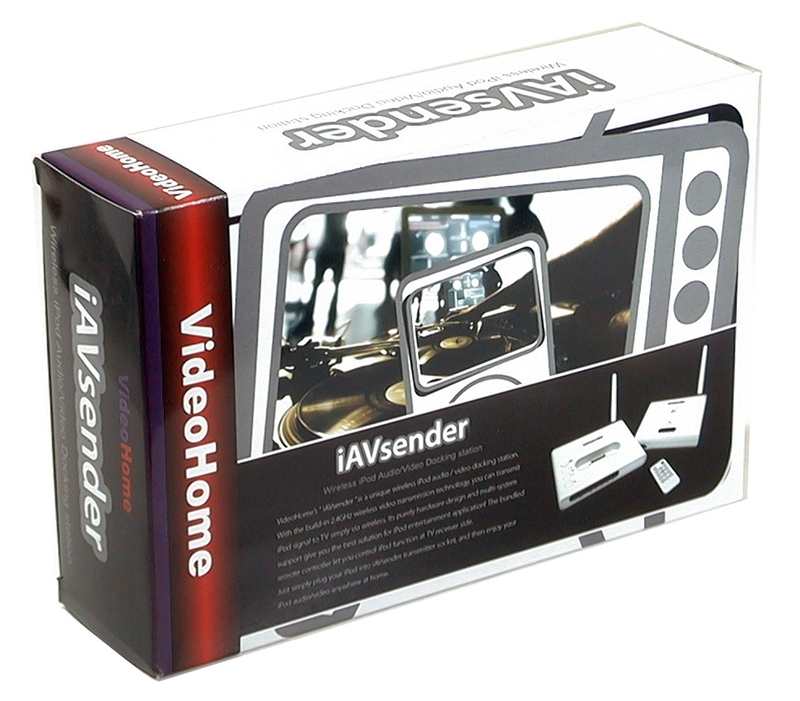 Simply plug your iPod into iAVsender transmitter socket, and then enjoy your iPod audio/video anywhere at home. 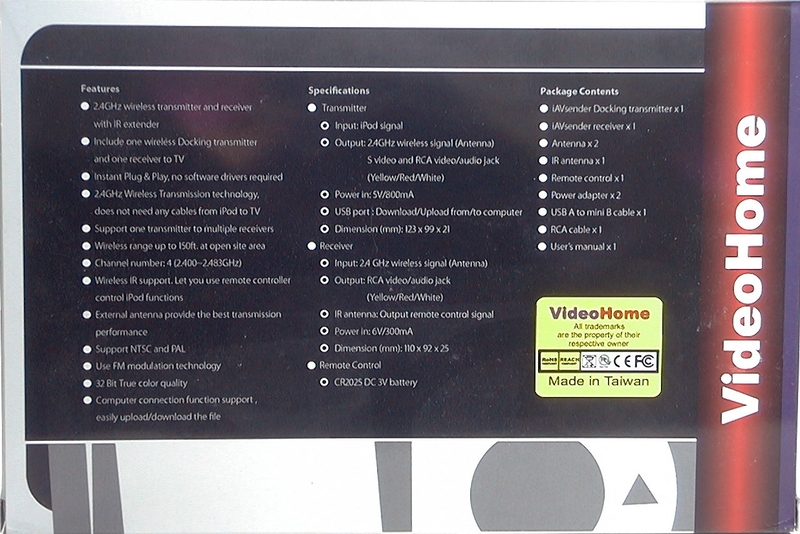 *** This unit is only compatible with iPod video (5th generation). It is NOT compatible with the 6th and 7th generation. Resellers welcome. Contact us at sales@3cvillage.com for quantity discount.